(855) 745-6732 Who Am I Calling? Did you suffer hearing loss after using 3M Dual-Ended Combat Arms Earplugs? Lawsuits say 3M’s dual-ended Combat Arms earplugs were defective and failed to protect men and women in the U.S. military from hazardous noise during training and on the battlefield. Servicemen and women who used these earplugs from 2003 to 2015 and suffered hearing loss or tinnitus may be eligible to file a lawsuit against 3M for compensation. In 2016, Moldex-Metric Inc., a company that makes respiratory and hearing protection products, filed a lawsuit against the manufacturer of dual-ended Combat Arms earplugs, 3M, under the whistleblower provisions of the False Claims Act. The act permits private parties to sue on behalf of the government when they believe defendants submitted false claims for government funds and to share in any settlement. 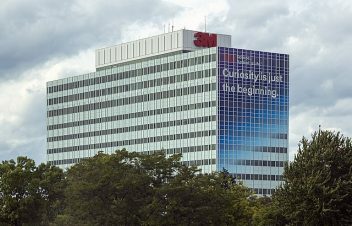 3M admitted no wrongdoing but agreed to pay $9.1 million to settle the allegations in July 2018, according to a DOJ press release. Aearo Technologies originally designed the earplugs and obtained an exclusive military contract for the dual-sided Combat Arms earplugs in 2003. In 2008, 3M bought the company and took over the military contract for the earplugs. Tinnitus and hearing loss are the top causes of service-related disability among military personnel, according to the U.S. Department of Veteran Affairs. The military bought 3M’s earplugs to provide hearing protection to soldiers. The unique dual-ended design allowed soldiers to insert the olive side to protect against all sound. With the yellow side inserted, it protected against explosions but allowed soldiers to hear spoken commands or approaching enemies. 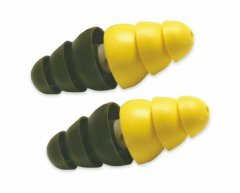 These earplugs were standard issue in certain branches of the military from 2003 to 2015, according to the Moldex lawsuit. Despite knowing the dual-ended Combat Arms earplugs were a defective device, 3M and its subsidiary Aearo Technologies sold the product to the military and exposed millions of unsuspecting servicemen and servicewomen to the risk of hearing damage, Moldex stated in its lawsuit. “The protracted fraud perpetrated on the military by 3M, whose dual-ended Combat Arms earplugs … have likely caused thousands of soldiers to suffer significant hearing loss and tinnitus in addition to exposing millions to the risk,” according to the lawsuit. Now, hundreds of military men and women who used these earplugs are filing lawsuits against 3M and Aearo after they suffered hearing damage. Soldiers’ injury lawsuits accuse 3M of knowingly committing fraud against the U.S. military, failing to warn the military and soldiers of the earplugs’ defects, and falsifying earplug test results — among other allegations. Soldiers who thought the Combat Arms earplugs protected them were actually at risk of hearing damage. Injuries claimed in lawsuits include hearing loss, tinnitus and loss of balance according to the Military Times. Hearing loss is an important concern for the U.S. Department of Defense because it impacts operational effectiveness, medical readiness, and quality of life, according to J.T. Nelson and colleagues’ article in Hearing Research. Each branch of the military performs routine hearing tests on service members and keeps a record of the results. These records will be useful in a lawsuit against 3M for hearing loss. Veterans who currently receive VA disability compensation for hearing loss or tinnitus can continue receiving their benefits even if they pursue a claim against 3M, according to attorneys. Because the government awards disability compensation based on disability ratings and not income level, a personal injury settlement should not impact benefits. Texan Scott D. Rowe was one of the first veterans to file a lawsuit against 3M. An Army combat veteran, Rowe, now 40, was stationed primarily in Fort Hood and Fort Lewis, his lawsuit said. While at Fort Hood, Fort Lewis and in Iraq, the Army issued Rowe 3M dual-ended Combat Arms earplugs. He used them during combat and training and suffered hearing loss and tinnitus. “Every day I have to live with a high-pitched frequency in my ear that’s deafening. I’m never at peace,” Rowe told Courthouse News Service. Anthony F. Ascanio joined the Marines in 2009. He was 21 at the time. Ascanio was stationed at bases in California and Hawaii. He also served on two deployments to Afghanistan during Operation Enduring Freedom. During Ascanio’s service, 3M’s dual-sided Combat Arms earplugs were standard issue. He used them during training exercises and on the battlefield in Afghanistan. He used the earplugs as instructed and was never told to fold back the flanges of the earplug. Now, he suffers from bilateral hearing loss and tinnitus, his lawsuit claims. According to lawsuits, the stem of the earplugs was too short for soldiers to insert the plug deep enough into the ear canal to obtain a proper fit. This caused the plug to loosen, unbeknownst to the wearer or onlookers. When earplugs loosened, they did not provide proper protection. Aearo Technologies, the earplugs’ original manufacturer, knew of this defect as early as 2000 — before it obtained a contract to sell the earplugs to the military, according to the Moldex lawsuit. During testing, Aearo personnel rolled back flanges on the non-inserted side (yellow or olive) to prevent the earplugs from loosening. When 3M bought the company and took over Aearo’s military contract, the scientist and lab technician who’d tested the Combat Arms earplugs joined 3M. The company did not inform the military of the defect or take steps to correct it, nor did it include instructions to fold back the flanges, according to a lawsuit filed by Anthony F. Ascanio. “It is an absolute disgrace that 3M would purposefully provide defective equipment to U.S. service members, knowing that those service members would rely on that defective equipment in combat,” attorney Andrew Cobos told the Military Times. Not only did Aearo and 3M manufacture a defective product, they also misrepresented the effectiveness of the product to the military and the soldiers using it, lawsuits claim. In order to sell its earplugs to the military, Aearo had to meet a certain Noise Reduction Rating requirement (NRR). But lawsuits say Aearo and 3M misrepresented the results of the NRR tests to the military. 3M Headquarters in Maplewood, Minnesota. The NRR required for the olive-colored end was 25 to 40 decibels, and it was 0 to 25 decibels for the yellow end, according to Ascanio’s lawsuit. During initial testing, Aearo found the olive-colored end only reached an NRR of 10.9 on average. The results were disappointing and they stopped testing on the olive end. The yellow end reached -2 NRR. At -2, the yellow end of the earplug actually amplified the sound and functioned as a hearing aid would, according to the whistleblower lawsuit. Aearo retested the olive end after folding back the yellow flange. By doing this, they were able to achieve a 22 NRR. For the yellow end, Aearo reported the -2 NRR as a 0. The company reported these results to the military and placed them on marketing materials. Service-related hearing loss after using 3M Earplugs?